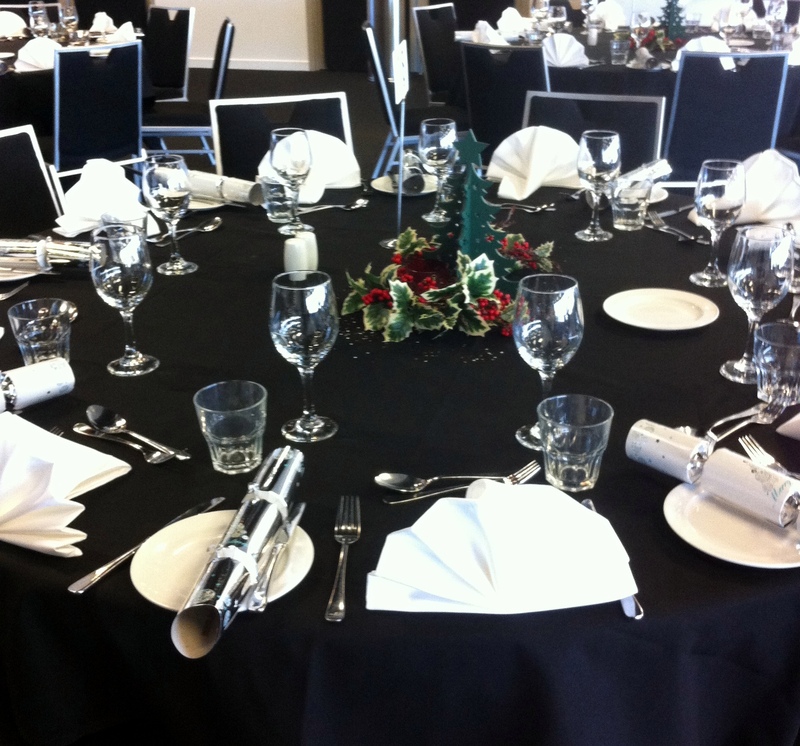 Combined Staff Christmas parties for company Christmas or end of year celebrations. Ideal for small to medium groups who want to join in with other companies or for larger groups who want to book a night exclusively. A great way to thank your staff. Once again this year we are thrilled to bring you more of our Combined Xmas Dinner, show and dances. It gives you the feeling of being at a fantastic corporate function but at a fraction of the cost. The atmosphere is fun, entertaining and exciting and you may even make some new friends! In total we get around 200 to each night so it is always lots of fun and a lovely mix of professional people. Tables seat up to 10 and if you have more than one table we arrange them beside each other so your group isn’t split up. If you have any questions or would like us to send you the Menu and Beverage lists just send us an email and we will send them to you. 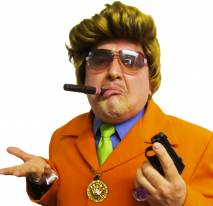 Our Comedy Interactive Dinner theatre show "Married To The Mob"
A DJ to dance the night away. You’ll begin your evening with some greetings and a bit of frisking from the Fettuccini family, they like to welcome their guests in their own special way! They spend the cocktail hour meeting all the guests and giving them their new Mob names to help everyone settle in to an evening of comedy and laughter. This generous Italian family will host your evening from drinks to dessert. This is an auspicious occasion with all the families gathered but there’s always the temptation to want to settle old scores. To ensure this doesn’t occur the guests take the e No Whacking oath and the evening begins. We announce the engagement of Maria to someone from the audience. We ensure that the new fiancé has a great time. In the past Maria’s fiancé seems to have had an “accident” but we’re sure this one’s a keeper! Dress: Italian mob attire, or if you want to go more low-key, then we suggest your guests dress in black and white or your best party gear. Costumes are optional but lots of fun! "I’d just like to thank you and your team for a fabulous time on Saturday night. We loved the entertainment, the stage show it was hilarious and your actors did a great job at breaking the ice at the start of the evening which can sometime be an awkward time. Everyone is raving about how much fun they had. I also thought your singer was wonderfully talented, she had such a great voice. "A very fun entertaining night from the minute we arrived. 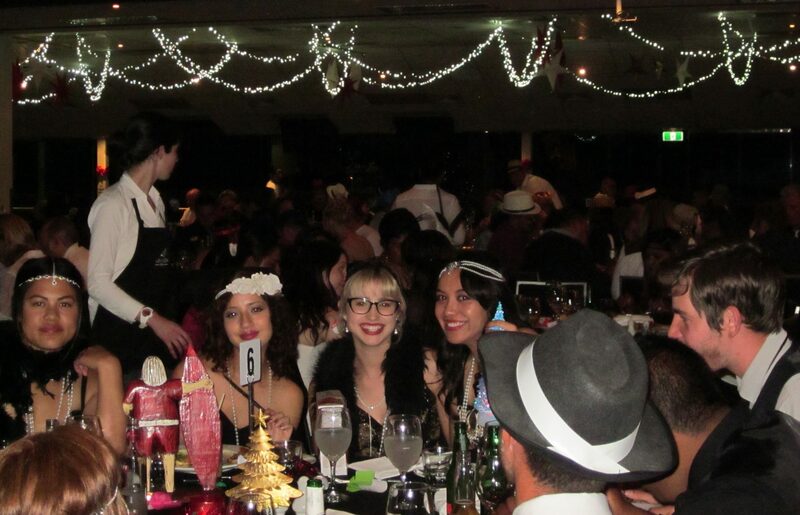 Thanks for taking the stress out of organizing the Xmas party…all we had to do was turn up on the night. Overall great value for money." June, NZ Radiology.